ACM, CMA and Grammy Award winning country group Diamond Rio will perform live at Prairie Band Casino & Resort on Thursday, April 18 in the Great Lakes Ballroom. 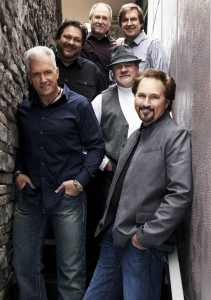 Diamond Rio, known for their hits including “One More Day”, “How Your Love Makes Me Feel”, and “Meet in the Middle”, have sold more than 10 million albums. Click here to order tickets to see Diamond Rio at Prairie Band Casino & Resort.